This new blend perfectly reminds Johnnie Walker and Game of Thrones fans alike that “Winter is Here.” The limited edition bottle utilizes thermochromic ink to give fans a frosty surprise message when frozen. With flavor notes like caramelized sugar, vanilla, and fresh red berries, White Walker by Johnnie Walker makes for a delicious serve. The new blend is best served ice cold, inspired by the White Walkers beyond The Wall. 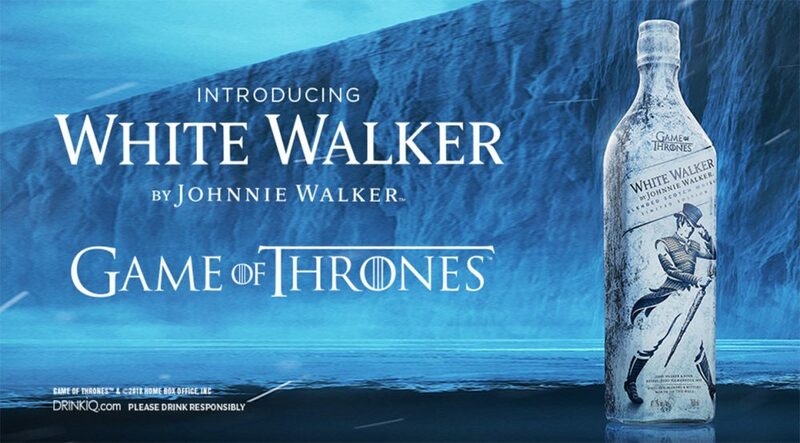 The Limited Edition White Walker by Johnnie Walker will make a nationwide icy launch starting October 2018 until supplies last.